If you have any questions or want to enquire about dates, use our form to contact Lee & Lorna Rickwood or see their website for more information. The problem with holidaying with young children is that few places answer your needs and theirs. This is different: Lorna and Lee’s 16-acre farm in the bare southern hills is a fabulous place for family holidays! With two purpose-built and simply styled cottages, each with its own terrace and great views, Lorna and Lee have made the whole place as family-friendly and relaxed as can be. The pool has a shallow area for kids, and toys, cots and baby gadgets galore, there’s a big suntrap terrace, a purpose-built play area, giant patio chess, videos and DVDs to rent and loads more. Join your thoughtful hosts for paella night once a week, and they are also happy to provide free babysitting for an evening during your stay, ferrying you to and from your chosen restaurant. Lorna can do all sorts of relaxing beauty therapies for deserving mothers, golf, riding and archery can be arranged, and skiing is possible (a two-hour drive) between January and April. Or simply have a stroll around the new pond, complete with lilies, koi carp and goldfish. Brilliant. 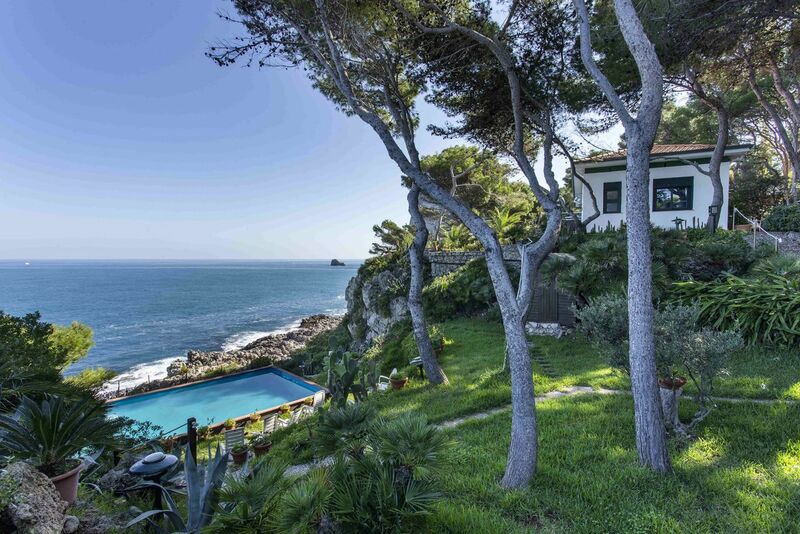 During July, August & September if both casitas are booked by the same party there is a €100 discount per casita per week. We had a lovely week in October. The casita was comfortable and well equipped with lot of things for our two children. The pool was spotless and the play area and sandpit brilliant. And the surrounding countryside and views simply breathtaking. Lee and Lorna are very helpful and approachable, and the paella night is a must! The babysitting was also so appreciated, enabling us to have a wonderful meal out in the local town. We look forward to a return visit. Wonderful rural Spain at its best! Very well equipped accomodation is set around a beautiful swimming pool up in the hills with amazing 360' views! Great for families and couples who crave sunshine away from the tourists in complete privacy! Short drive down to local bars and restaurants with excellent local Spanish cuisine! Alternatively buy your own and bbq beside the pool! Cannot recommend this place more as it's simply gorgeous and the English owners go above and beyond to make sure your stay is the best ever! Loved it & will be back next year if they will have us! Highly recomended! Wow, what can I say. Just had an amazing week staying at Cortijo Jacaranda. Lee and Lorna couldn't have been more accommodating. The Cassita was immaculate and very comfortable, had everything I needed and more! Such a peaceful location with easy access (by car) to the local towns. Went to a great Tapas restaurant recommended by Lorna nearby and did not disappoint. However, I highly recommend the paella night as cooked by Lee, absolutely delicious. I cannot rave about this accommodation enough, so much so that I've already booked to return next year. Cortijo Jacaranda and the charming Casita Mimosa where we stayed was just perfect for us and our little boy of 5. The place itself was immaculately kept, a gorgeous pool and individual BBQ areas plus the informal bar area and giant chess board made it easy to just laze around happily enjoying the tranquility and wonderful views. Lorna and Lee and family were really accommodating and helpful plus the night off that we had in the local restaurant while Lorna babysat was a real bonus. Lots to do in the local area but essential to drive. Had a brilliant time would thoroughly recommend. The most relaxing holiday I've had for a long time- I didn't want to leave. To be able to cook whilst watching the kids in the pool is amazing. So clean, with everything you need. We love the seclusion whilst only being 30min from Malaga. Some lovely local towns and things to do. The lakes were great. Great hills for running, stunning views and a brilliant pool and kids area. Lorna and lee were very helpful but gave us our space. We recommend going to the market before the supermarket for amazing local veg. I've never gone back to a holiday cottage twice but this one I just might! We had a lovely stay in Mimosa cottage for a week in August. The cottages are compact but pretty and immaculate throughout. Very well equipped with thoughtful things like board games and books. The kitchen had everything you needed and the gas bbq was brilliant and made catering easy. The pool was designed perfectly for a 3 year old and 7 year old swimming ability. The children also loved the play equipment and the resident donkeys. The location in up in the hills so a 15 minute drive to the nearest town but once down there is lots to do in the area. Peaceful and relaxed - we loved it. We had a great stay in one of the casitas at Cortijo Jacaranda. Nice and quiet location away from the busier coast but near enough to get to the beach easily. We also got into Malaga on a slightly cloudier day very quickly too. Hosts were very welcoming and provided equipment for our young daughter so we could travel light. Good swimming pool and children's swings, slide and sandpit too. Very relaxing! We had a wonderful holiday at Cortijo Jacaranda. Booked both casitas - two couples one with a 9 month old and the other with a 12 month old. Babies well catered for with cots, high chairs, plates and utensils, microwave and gates. Lorna and Lee are fantastic, very helpful. Took full advantage of the free babysitting, spent a great evening at local tapas bar (extremely good value). Beauty treatment was excellent, so was paella and cheesecake. Highly recommended and excellent value. If only more places were as baby / kid friendly but also great for adults as this. Beautiful peaceful location, TV and internet-free (wonderful! ), simply furnished but had everything we needed. Hosts extremely helpful. Thank you for a beautiful relaxing private place for our family and friends. We relaxed and swam in the pool for hours and in the evenings enjoyed drinks at the bar. Situated within easy reach of Alora and Pizzara for supplies, and the Ardelles, Mijas and Ronda for memorable day trips. We will return as soon as possible! We had a fantastic holiday at Cortijo Jacaranda. The location is absolutely stunning, with a panoramic view of the Andalusian countryside. The casitas are well equipped, stylish and clean, with the pool being a couple of metres from the front door. Lorna and her family could not have been more welcoming. We had a great time and will definitely going back. Second visit to this lovely, relaxing villa with our 3 boys. Everything as wonderful as we remember last year. 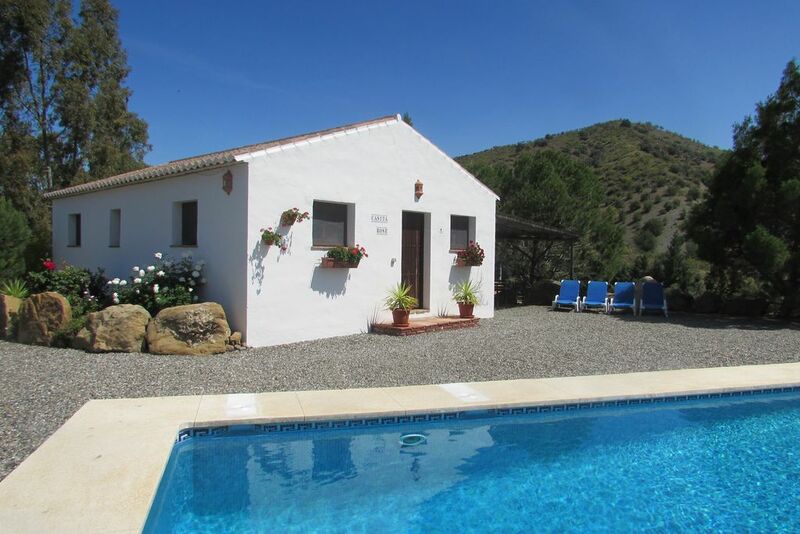 Stunning views, relaxing pool and lovely days out at Ardales Lakes, Mijas and Ronda. Lorna and family always helpful, particularly keeping open the bar to watch the closing ceremony of the London 2012 Olympics, making it a great evening for our family and friends. Have already booked to return in 2013. Nestled in the hills between the beautiful white villages of Alora and Pizarra. Cortijo Jacarandas rural location allows you escape the stress of everyday life by relaxing round the pool, admiring the amazing sunsets and adoring the breathtaking views. Whilst staying at Cortijo Jacaranda you can not only relax but not too far away there are a wide range of activities available ranging from golf, sea fishing and skiing to hiking and birdwatching. Take the train to Malaga, which is a lovely city to explore. It offers an abundance of history such as the Cathedral and Alcazaba. A wander around Malaga's new port is highly recommended. A hive of activity with bars, restaurants, shops and much more. The spectacular "Camino del Rey" suspended above El Chorro Gorge is only 40 minutes away. You can swim or take out a pedalo on the beautiful lakes at El Chorro. The historical towns of Ronda, Antequerra and Granada are easily reached by car.